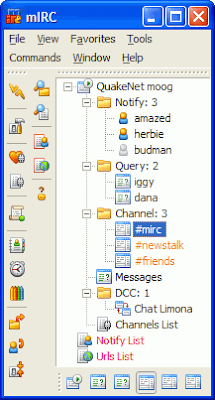 mIRC is a versatile Windows application used for sharing, communicating, playing or working with others on IRC (Internet Relay Client) networks around the globe. It is a complete IRC client for Windows operating system will packed features. You can not only to chat with people using mIRC but, participate in group discussions. So, what makes mIRC different from other ‘Chat’ clients? – It is an Internet Relay Client Chat application. What is Internet Relay Client? Internet Relay Client (IRC) is a communication protocol for live interactive text messaging via the Internet. It is also known for synchronous conferencing – a real-time conferencing through email, audio/video, or instant messaging. The main intention behind IRC is group communication in discussion forums, popularly called as channels. Difference between IRC and normal Instant Messaging? IRC is developed to support various chat rooms where everyone can join a chat room. Whereas, in Instant Messaging only those people are allowed who are invited into the chat room by you or someone. Strangers are not strictly unaccepted, unlike IRC. mIRC is developed by Khaled Mardam-Bey, a British programmer of Palestinian and Syrian ethnicity. 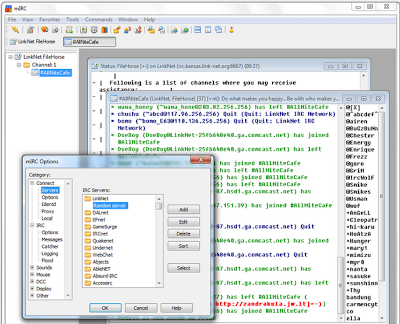 mIRC is considered as one of the most popular and effective IRC clients available for Windows. It is a fully functional chat application with integrated scripting language which makes it extensible and flexible. The latest version mIRC 7.29 has minor changes, improvements and bug fixes. It has a fresh, convenient interface that is completely configurable and is completely different from regular IM clients. It is more like a notepad for scripting languages. The chat friends or buddies are shown on the right-side. When you launch the mIRC application, you need to enter a screen name, and then you could configure options like chat sounds, viewing buddy lists, etc. Click “Connect” icon to log-in. 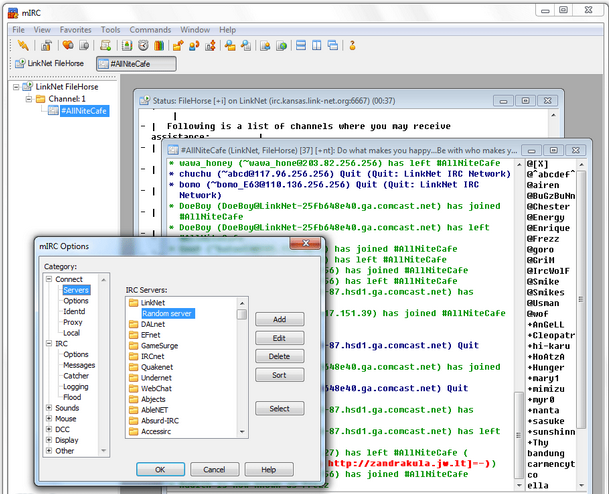 It shows available channels with options such as Join, Add, Edit, and other commands. 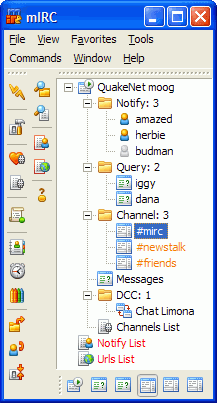 Used to communicate or share with other IRC network clients around the world. Powerful Scripting Language to create applications for functions from network communications to playing games and to automate mIRC. Multi-server connections, IPv6, Buddy Lists, and File Transfers. SSL Encryption, Proxy Support, UPnP, and UTF-8 display. Customizable Sounds, Spoken Messages, Tray Notifications, and Message Logging. File Sharing via DCC (Direct Client-to-Client) protocol, featuring a built-in file server. mIRC’s installation offers variety of options such as automatic updates, backups, and the option to run as portable application from a USB drive. mIRC is valid for 30 days, but it provides complete features unlike other softwares. 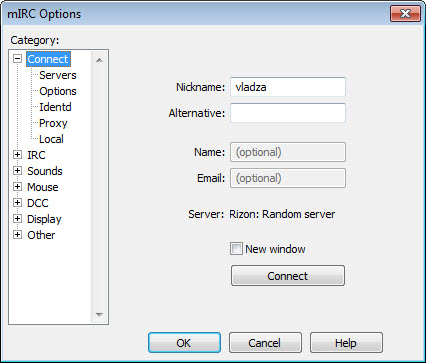 You can download mIRC 7.29, the latest version from below link, which is valid for 30 days. After that you need to register mIRC for single-user license that costs $20.